Large & Beautiful 1,200 Sq. Ft. 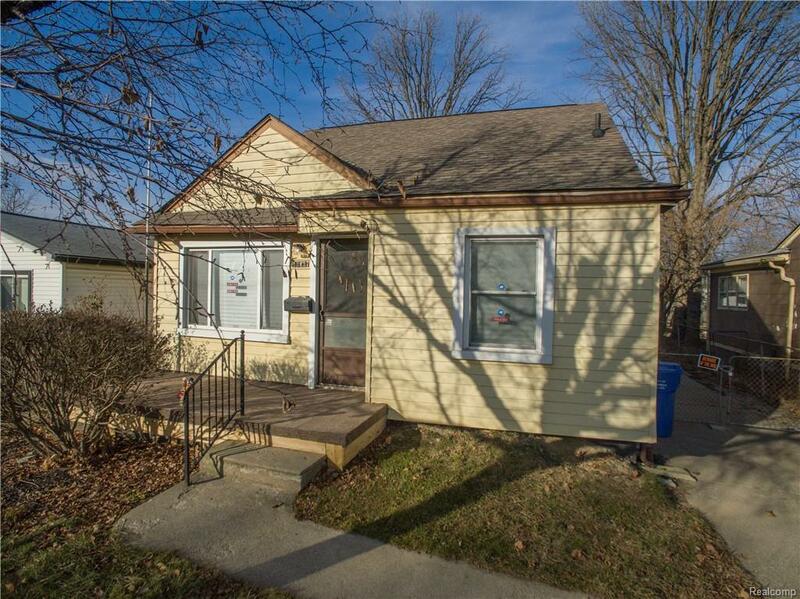 Fully Remodeled Bungalow has too many Updates & Features to list! Updates include: BRAND NEW CENTRAL AIR, BRAND NEW FURNACE & BRAND NEW HOT WATER TANK ~ NEWER ROOF & NEWER SIDING ~ BRAND NEW GARAGE DOOR ~ Interior features FRESHLY REFINISHED HARDWOOD FLOORING ~ FRESH PAINT throughout ~ UPDATED BATHROOM ~ UPDATED SUN ROOM in the back with NEW WINDOWS, NEW FLOORING, NEW DOOR & UPDATED ELECTRICAL ~ MOSTLY NEW INTERIOR DOORS throughout ~ NEW CLOSET DOORS ~ NEW CARPET in upstairs Bedroom ~ SOME NEW LIGHT FIXTURES ~ NEW KITCHEN FLOORING ~ NEWLY REFINISHED CABINETS ~ BASEMENT CEILING & FLOOR FRESHLY PAINTED & Much More! Features include Library Area upstairs, New Railing, Full Basement w/ Block Windows & Large 2 Car Garage. THIS IS A TON OF BENEFITS UNDER $73,000 and TAXES UNDER $1,500! Take advantage of it right away! New Meijer within 2 Miles, Close to Expressways and Schools.